CNN tells us about turbos. - Miata Turbo Forum - Boost cars, acquire cats. I find their commentary and knowledge to be overwhelmingly good. Is there anything left to misrepresent after that article was done? I lol'[email protected] of fuel. 5.1.4 Fuel mass flow must not exceed 100kg/h. I want some of these power belts she talks about. my turbo has it's own exhaust. I'm having second thoughts about turboing my Miata now. I don't want to make it heavier so I better just stick to NA. yeah and the weight of the car makes it much bigger. But turbo makes you grip at steep angles better. yeah, and that might shred tires. Well it's either power from exhaust steam, or power from belts. You pick. I've made my decision and i'm all about the steam, baby. No wonder water injection makes more power, it creates more steam!! Finally found a new sig. So it was true all along! Isnt that partly true though. 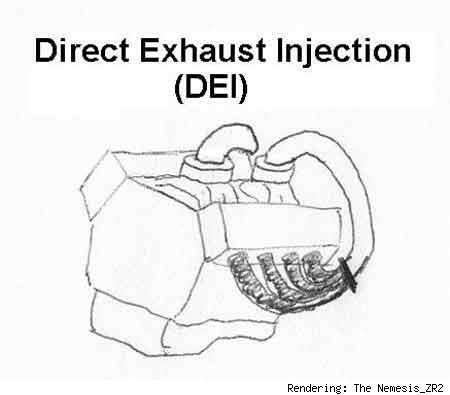 Obviously there is the octane boost/detonation prevention, but I also read water injection makes a turbo spool faster, something about adding mass to the xhaust stream or something like that. Quick Reply: CNN tells us about turbos.